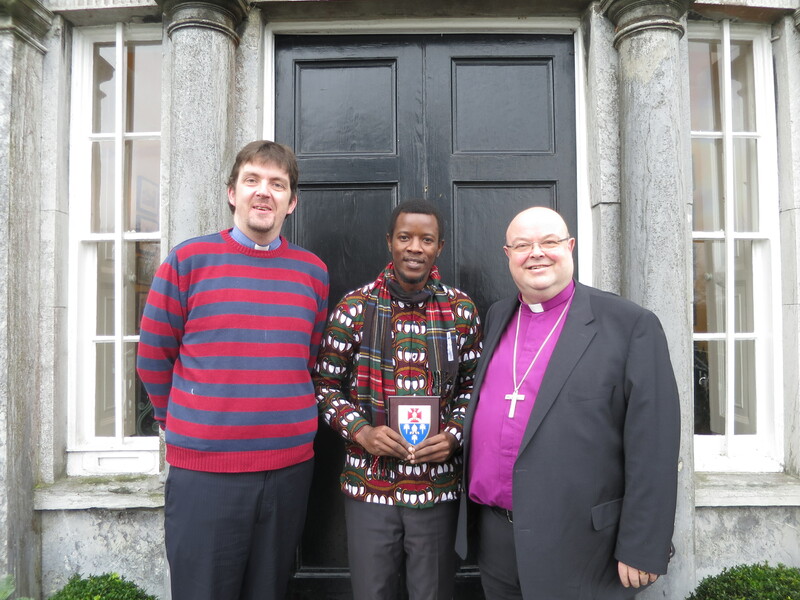 Carrigrohane Union of Parishes in the Diocese of Cork has been playing host to Geoffrey Banda, a second year ordinand from the Anglican Church in Zambia. 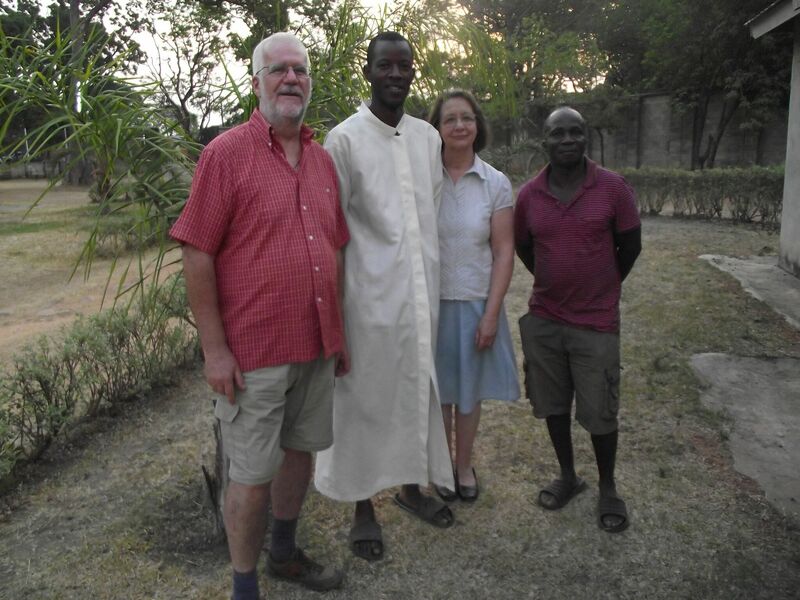 Geoffrey’s visit was facilitated by Church Mission Society Ireland (CMSI) and particularly Mission Partners, Lyn and Revd Dr Keith Scott who are staff at St. John’s Anglican Seminary in Kitwe (Diocese of Northern Zambia) . The visit was organised following a recent CMSI Mission Experience Team Abroad when members of Carrigrohane Union of Parishes were hosted by the Anglican Church in Kitwe in 2016. Geoffrey arrived in Cork on 22nd November 2017. During his time in the diocese he has been involved in all aspects of parish ministry including pastoral visiting, liturgical services, community carol services, home communions, school assemblies, parish meetings, youth ministry, Messy Church, assisting in St. Fin Barre’s Cathedral, and many community projects. 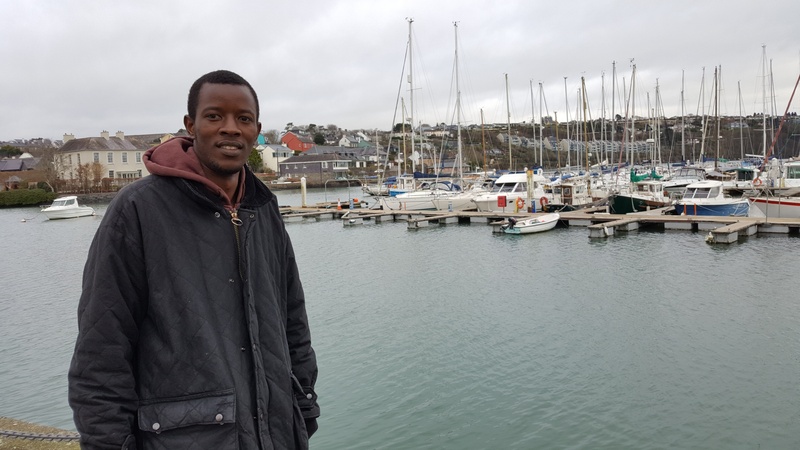 Geoffrey Banda on a visit to Kinsale. Geoffrey also attended a number of Diocesan events, and, on Wednesday 10th January, was received by the Bishop, Dr Paul Colton. On a visit to The Palace, Cork where they were received by the Bishop were (l-r) the Reverend Robert Ferris and Geoffrey Banda, with Bishop Colton. It has been a pleasure hosting Geoffrey who very quickly settled into parish ministry in Blarney and each of his interactions with parishioners and the wider blarney community has been very natural. I have been very impressed with what Geoffrey has brought to us in the parish in terms of his personality, his teaching and his faith. I look forward to our continuing relationship with both Geoffrey and the Seminary in Zambia through our partnership with Keith and Lyn Scott. It has been a delight to have Geoffrey visiting us – I think most of us would agree that he already feels more like just part of the parish family than a Zambian ordinand on placement! The remainder of Geoffrey’s placement includes a week in The Church of Ireland Theological Institute studying some of the classes which Irish Ordinands are taking, followed by a retreat at Glenstal Abbey, meetings with Bishops Appeal and CMSI and a further week of Parish ministry after which he returns to Zambia on 3rd February. I have very much appreciated and thank everyone for all the care and welcome that I have received since I arrived in Ireland. At the moment I am taking time to process all of the lessons learnt whilst here in Cork in lots of areas of life, ministry, culture and much more. This entry was posted in Anglicanism, Diocese, Five Marks of Mission, Making Connections, Parish News. Bookmark the permalink.